Biodiesel Equipment Pakistan - Biodiesel Solutions – Biodiesel Machinery Equipment Projects. 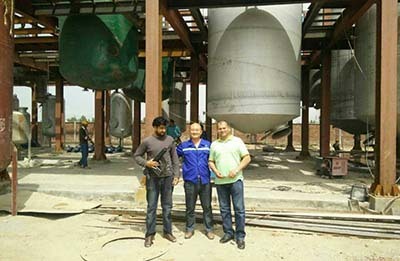 January 2015, biodiesel equipment export to Pakistan, has reached the Pakistan customer’s location safely. Here are the installation pictures. We promise providing the most quality biodiesel equipment and guaranteed services for costumers honestly.